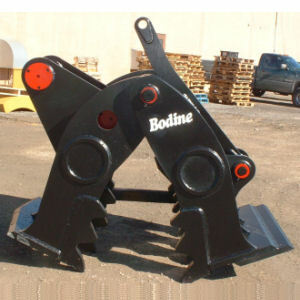 Bodine "All-Pro Series" Quick Connect Concrete Pulverizer The "All-Pro Series" Quick Connect Concrete Pulverizer has been engineered to the highest standards resulting in achieving the most advanced design in the industry! 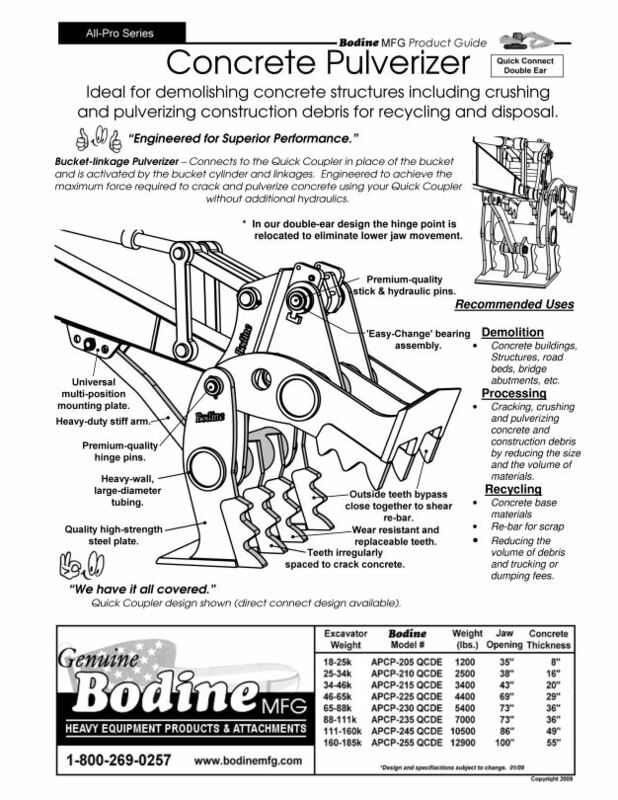 Ideal for demolishing concrete structures including crushing and pulverizing construction debris for recycling and disposal. - Concrete buildings, structures, road beds, bridge abutments, etc. 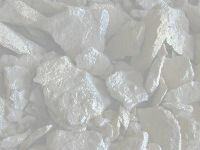 - Cracking, crushing and pulverizing concrete & construction debris by reducing the size and volume of materials. 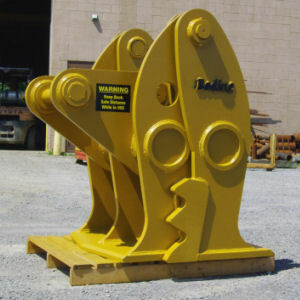 - Reducing the volume of debris and trucking or dumping fees. 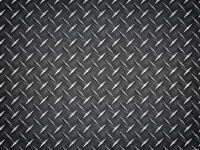 Incorporates high quality strength steel and heavy walled tubing. Results in the best concrete cracking. For maximum strength and longer life. 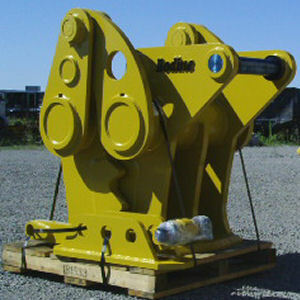 Rigid stiff arm for Concrete Pulverizer. 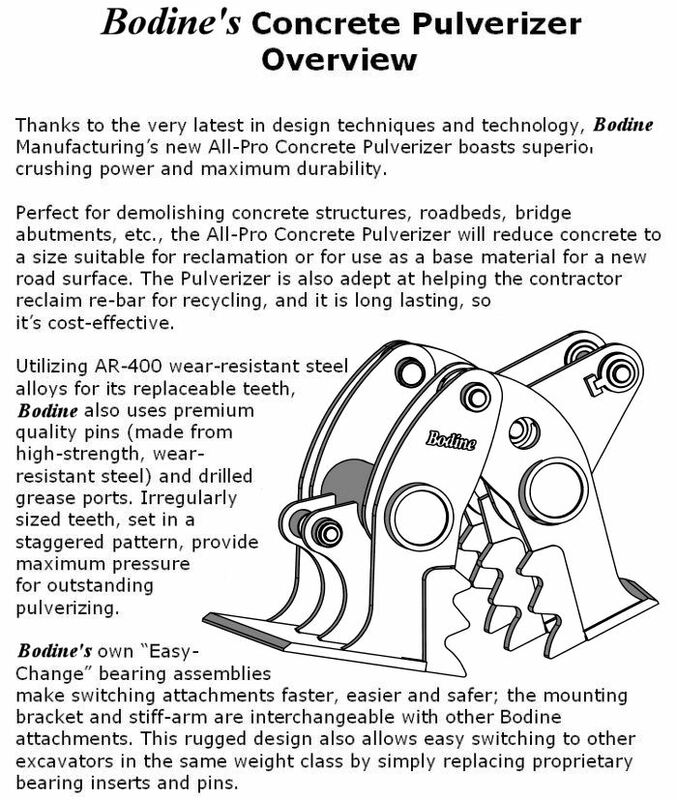 "Key to our decision was the manufacturer answering all our questions about Concrete Pulverizers..."
"It crushed everything, even with the jaws wide open..."
"...we have done a lot of work with the Bodine Concrete Pulverizer...it does a tremendous job..."
Copyright © 1991-2016	Bodine Mfg. (Manufacturing) All Rights Reserved.